NABERS – Is It Working? In the twelve years since NABERS was introduced it has been demonstrated as highly successful system of evaluating the efficiency of Australia’s buildings in terms of water, material wastage, electricity, lighting and heating. It has received a surprisingly high level of enthusiastic support from industry, very little in the way of resistance and adoption across the board. It is seen massive uptake amongst those businesses where it is not a legal requirement (premises under 2000sqm). The success of the system has demonstrated that benchmarks of performance of green issues are feasible. It is also feasible that existing buildings – in many cases with minor modifications – can cut wastage with general awareness alone and quite considerably with even minor modifications to the fabric of a building. Time and time again, older buildings are recording 4.5 and upwards on the NABERS scale so this is not just limited to new builds that actively take account of the environment. This further demonstrates that it is a fair and just system that examines a wide range of criteria. It is not particularly difficult to acquire a 5.5 star rating with minor changes to facilities. The role of government cannot be understated – the actions of government policy (discussed in previous articles) in actively searching for property with high NABERS ratings has encouraged businesses to participate in the standard. Building procurement – rental and sale – is a highly competitive market so once this precedent was set, widespread adoption would be almost inevitable. Finally, it is generally accepted that the voluntary adoption of the standard by businesses for which it is not mandatory has had a positive impact on those businesses for which it is mandatory – they are desiring to stay ahead of the up and coming competition. NABERS is not perfect – of course no system is and it is important for a new industry standard to learn lessons from its own drawbacks as it is from its successes. When there is no market driver (such as a lack of government interest or voluntary uptake) it can be difficult to encourage businesses to attempt to improve their ratings. The nature of the geography of Australia has led to some concerns about the competitive advantage of cities and areas in more temperate climates ahead of those in the tropical areas (which use more air conditioning for example – leading to the perception that ratings in these areas will be lower with little they can do about it). Also, the enforcement of a national standard in the state-structure of Australia was a concern – and this had the most impact on the core office market that is at the heart of Ausnviro’s business. However, the variety of benchmarks means that it is working in practice and topography need not be a barrier in achieving a high rating. As we go forward with NABERS, there is no doubt that obstacles will present themselves but it is working – businesses across the board are recording lower utility costs and reduced emissions of 40% or more. The NABERS programme of development began in 1998 when the Sustainable Energy Development Authority of New South Wales called for tenders in the development of a buildings energy efficiency system. At the time, there were no specified criteria for how the ratings system ought to be organised – merely that it needed to be a system to determine a grading system for energy efficiency of Australia’s buildings. The consultancy process developed through 1998 and 1999 to determine how they system would work. It was still specific to New South Wales but it progressed on the expectation of it being a national system. Back then it was called Australian Building Greenhouse Selection (ABGR) and was adopted in Victoria sometime during the year 2000. Only when the Federal government show interest would it start to become the NABERS system we know today. The two systems were finally merged in 2009. A report in 2011 demonstrated the success of the NABERS system through its widespread adoption and enthusiasm for its methods and execution. It may be a legal requirement for those buildings over 2000sqm, but businesses have accepted findings on their own buildings and attempted to continually improve their ratings year on year. Investa, Colonial First State and General Property Trust recorded ratings around 2.5 in the early 2000s to 4.0 and above in 2010 and 2011. NABERS has expanded in scope over its now 14-year history to include water efficiency, indoor environment and material wastage. What this does then, is gives a base minimum rating that applies to the building regardless of the actions and industry requirements of the company occupying the building at any one time. The needs of every business is different, some might require a lot of electricity for a large number of computers whereas some might require a lot less. Some might require a lot of water or require a cleaner indoor environment and for others this might not be so much of an issue. This permits, regardless of the company’s profile, the business to promote the benefits of the building they use as helping to aid their environmental impact within the industry and to evaluate their own impact as a business within the industry. The success of the project can be attributed, amongst other things, to the declaration of the government of New South Wales that all building leases should be a minimum of 3.5 for existing leases, and 4.5 for all future leases. To keep government business and to potentially attract future business, this spurred on organisations in New South Wales to improve their prime real estate in order to keep or to gain future potential government contracts. Most interestingly, at the time of the declaration there were no 4.5 rated buildings anywhere in New South Wales! This was revisited at the time because no clear criteria existed for what would make a 4.5 rated building. This set the standard for turning it from of technical interest to of commercial interest for those who seek to sell or lease out their real estate. A surprising lack of objection from the real estate industry means that the NABERS rating system has gone from strength to strength and has become the globally recognised standard that we have today in Australia. NABERS – What Will it Cost? It’s something that sceptics point to the most in the climate change debate – the financial cost to businesses and consequently to jobs and job opportunities. It is a political hot debate, especially when we consider the economic problems of the last 5+ years. Certainly the cost of various international, national and local measures to tackle the carbon footprint is going to cost in financial terms, just like any new legislation that is brought in to tackle a real problem. But businesses can and will survive just as they always have done – by adapting to and embracing new shifts in technology. It needn’t be a choice of saving the economy or the planet, as new technologies make their way onto the market, the research and development associated with any growth sector is going to create jobs and spur the economy on to recovery and then growth. There is a very vocal movement of sceptics challenging Australia’s net contribution to the global carbon footprint and – much like their American counterparts – claiming that it will restrict business and cost too much in the way of money and jobs. Aside from the very real threat of not acting for the long-term future of the planet, it may cost your business by not enacting measures to reduce your carbon footprint. Water wastage, non-energy efficient lighting and not having other measures in place will all affect the potential for lease and sale of your property. Businesses are actively looking to cut costs on essential utilities. They are not going to consider your building if you have a low NABERS rating – your property becomes less attractive as a potential site and it has already been demonstrated that new businesses are actively looking at NABERS rating of prospective real estate. If your office premises are over 2000sqm then you are legally obliged to obtain a NABERS rating anyway so it is on your best interests to ensure that you have done everything you can to reduce your carbon footprint throughout your properties. The cost of non-compliance for buildings over this size is $110,000 fine place $11,000 per day beyond the date of the breach. Though smaller premises are not legally obliged to have a NABERS rating, there are good reasons (stated above) for entering into the programme in what is a very competitive market at the moment. NABERS is unique internationally in the way that it measures the environmental impact of individual buildings – no other system in the world measures individual buildings in such detail. It is also unique in Australia for being the only system inside the country to provide a reliable measure of the impact of buildings. Globally, NABERS allows the country’s commercial property sector to lead the standard on measuring a building’s carbon footprint. As it is a national standard, you can rest assured that a NABERS rating in Queensland has the same impact and prestige as a NABERS rating in New South Wales. It is a universal mark measuring sustainability practices and good management of utilities and awareness of cost-saving measures. So instead of worrying about the cost of the NABERS system to your business, think about the longer-term costs of not getting on board with the programme. Ausnviro’s rates are competitive and we are market leaders in NABERS assessments. Mathilde is an experienced environmental auditor who specialises in waste management. Since completing her Masters in Waste Management Engineering Mathilde has worked internationally in various industries auditing waste management and recycling. Mathilde will take a key role in developing Ausnviro’s strategic waste management consultation division for commercial office buildings and tenancies while assisting in other environmental audits such as energy, water and indoor environment assessments. Thank you to all our clients and business associates. As you can see from the image above, the figures of energy consumption, released in 2006, shows that Australia’s energy use sky-rocketed between 1975 and 2000 largely due to increased use of electricity from coal-fired plants. The massive increase in has largely been put down to Australia’s move from rural to urban living over the last forty years. Today, Australians are amongst the largest per-capita consumers of natural resources, getting through some 70 tonnes on average per person every year while the EU and USA are seeing a general downward trend. What Is BEEC? Do I Need One? As it is a legal requirement, a BEEC must be provided on request to any prospective buyer or tenant that requests one. The NABERS information must be stated clearly in any promotional literature that advertises the property for sale or lease, and the building must be listed on the Building Energy Efficiency Register (which is accessible to the public). Though it is not a legal requirement, the owners of the building may advertise their BEEC information and NABERS rating around the property in order to enhance its image as a property. Each BEEC is valid for up to twelve months – the expiry date of the current rating is stated clearly in the documentation. You do not, however, need to keep your BEEC current unless the property is up for sale or lease. However, it may be wise in some cases and for a variety of reasons to keep the details up to date. Ausnviro specialise in BEEC assessment and with our main business focus and experience on office blocks, we can guarantee you a quick and efficient service with a thorough examination of your premises: Ausnviro aims to turn a BEEC assessment around in 5-10 days. We know how urgently some of our clients need the assessment carried out in order to get relevant marketing material out and vacant properties listed for sale or rent as soon as possible. Some clients might be concerned about disruption to their daily work, especially if a business premises is presently occupied. Ausnviro’s on-site assessment can be performed in a single day with minimal disruption to your staff. We will also submit all of the final assessments to the relevant authorities so once you have requested the BEEC assessment, just leave it to us. 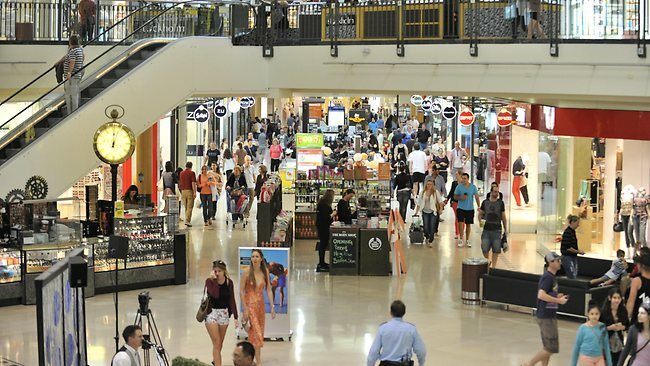 These are just some of the things in a shopping centre that uses water and electricity – and they use a lot of it – reported to be around 50% of Australia’s annual commercial power consumption. As retail outlets and hubs are something that we all use, the responsibility is not just on centre management teams to reduce their utility consumption, but on everybody to think more carefully for the cost of the business and the impact on the environment. Reduction of water and electricity consumption and a good NABERS rating for a shopping centre is going to benefit everyone. Why? A new business moving into a shopping centre is going to look at projected overheads – especially the cost of utilities. If you as part of the Centre Management Team is able to reduce overheads for prospective tenants by adherence to the NABERS criteria, that will certainly make your centre a more attractive place to set up shop. In turn, your units will be in greater demand and you will be able to charge higher rents. What’s more, more customers will be attracted by your environmental rating. You might think because of the vast amount of water that it would be difficult for a shopping centre to attain a good NABERS rating, but you would be wrong. There are many simple things that a shopping centre management team can do without the need of a consultant such as replacing lighting systems, using energy efficient bulbs and training cleaning staff on effective use of water and other typical methods of good housekeeping. There are some things that you might think are untouchable but always try to identify areas where even small changes might be made. Any reduction of water and electricity consumption can improve your rating. Realising that shopping centres are indeed special cases, there is a specific set of NABERS criteria for these types of commercial properties. Ausnviro is a fully accredited assessor operating across Australia. In just four years, we have built a solid reputation on our NABERS assessments. On our information page is a list of a number of large business properties that have already used our services in reducing their energy costs; they have acquired a good NABERS rating in the process. NABERS Ratings are conducted through Accredited Assessors who will negotiate their fees based on their own costs and business practices. However all ratings are also subject to lodgement fees payable to the National Administrator. Over the last ten years the program has grown significantly – from less than 70 ratings in 2003 to more than 2200 this year. However rating lodgement fees have not increased in nearly eight years. On 1 July 2014, NABERS will introduce a new fee structure, including a once-off price increase of $280 on the current single rating lodgement fee – from $700 to $980 (excl. GST) – followed by annual indexing thereafter. Other changes include a re-organisation of the discount structure to align the NABERS and CBD programs and no longer applying multiple discounts to one rating. This new fee structure is based on detailed analysis of the financial sustainability of the program and is being introduced to keep pace with increased costs and ensure necessary resourcing. NABERS delivers public value for the environment as well as commercial value for businesses, and continuing contributions from the Commonwealth, State and Territory governments to the program will also ensure the ongoing enhancement and improvement of the NABERS tools. It is natural to be concerned about the costs of implementing changes required for the NABERS rating system, and naturally how it will affect businesses in other ways as they adhere to legislation and try to improve their overall rating. Business leaders expect to have a clear understanding of what they might have to spend on the cost of utilities and other waste – it could affect their decision to buy a property. Why Get an Accredited Rating From Us? Ausnviro is a fully accredited NABERS Assessor active in Queensland, Victoria and New South Wales – but we service businesses right across the country. We have been operating since 2009 and in four short years have grown into a large and thriving company, having provided ratings for a number of regional iconic buildings such as both Melbourne’s and Sydney’s Premier Office Towers. We have also rated Rialto Towers in Melbourne so we already have experience in assessing some of the country’s largest buildings. Because of the nature of the business, a hotel is a high-volume user of basic utilities. We will work with you to identify key areas where you could make savings across the key areas of water and electricity and any other utilities you might use. We will look at the consumption data for all of the areas of your hotel, identify problem areas, look at them in detail and suggest improvements. As a fully accredited assessor, once the consultation is complete you are legally permitted to use the NABERS hallmark in your promotional material – letting everybody know that your green credentials are based on something solid and quantifiable.